Join us for a day of herbs, health, wellness, and creativity. This one-of-its-kind wellness gathering featuring the communities leading innovators, teachers and herbalists. From invigorating workouts and hands-on treatments to inspirational, actionable workshops, Nezinscot’s Herbal day connects us to a common goal: fostering healthy individuals, a healthy society, and a healthy planet. This day-long retreat is open to the entire family, children (8 and up) included! While you explore Nezinscots Herbal gardens and learn how to harvest, prepare and create your own herbal remedies, your children can explore the farm and participate in a craft workshop. $180/person for the day starting at 8 a.m. (Includes Yoga, Breakfast, Lunch) $150/person for the day starting at 9:30 a.m (Includes Lunch) $100/Kids 12 and up for the day starting at 9:30 a.m (Includes Lunch) $80 – Children’s Event Participation Only starting at 9:30 a.m. (Includes tour, workshop, lunch) Fee includes participation in any of the events going on throughout the day and lunch. 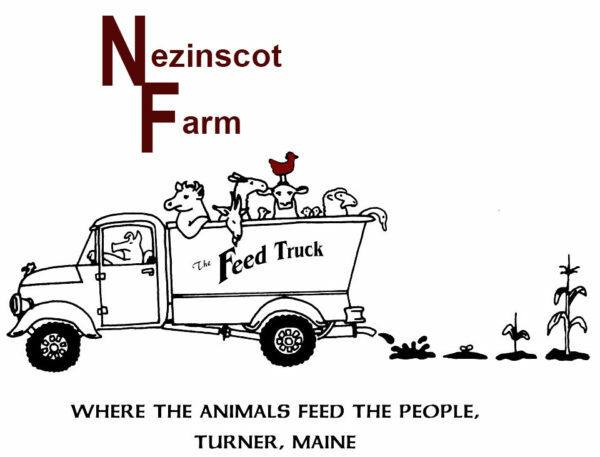 Meet at the main entrance at Nezinscot Farm Store. This 60-minute vinyasa style class will focus on waking up the body, mind, nervous system and digestive system, to prepare you for the day ahead! The class is for all levels of yogis and beginners. Plant identification, gathering and preparing for making teas, tincturing, infused oils. This is a hands-on workshop where participants will be fully engaged in the process of making several forms of medicines with the herbs gathered while on a walk through the medicine garden at Nezinscot and surrounding woods. Please bring a basket for gathering, small scissors, garden gloves, closed toed shoes/garden clogs. For those interested in going home with a tinctured product, please bring a quart of either vodka, brandy or organic cider vinegar as your menstruum. Have Children attending? Let them explore the farm with Mackenzie, as she does morning chores. Participants will have an opportunity to view the farm, pet animals, learn about animal care all before heading to the craft workshop at 10:30. Weaving a painted turtle with Maria and book reading of the Painted Turtle. Learn the basics of weaving while enjoying the farms own children’s book. Lunch prepared in our cafe using some of the seasonal herbs available form our culinary herb garden. Check out the full menu posted to Facebook days before the event. Learn the basics of soap making, milk and oil based. We’ll discuss the process used to make soaps at home, herbs and essential oils to use. Close out the event by gathering in the main room for afternoon tea. We’ll discuss our finding for the day, and staff will answer any additional questions. Looking for more information, and want to purchase tickets? Check out the link below.